Tech revolutions seem to happen all at once. But in reality, it’s often a gradual progression of factors. And sometimes they happen in the unlikeliest places. The first computing revolution was set in motion by eight embittered electrical engineers who were under the management of a domineering founder named William Shockley. Starting a now-prevalent trend, the “traitorous eight,” left well-paying jobs to found Silicon Valley’s first startup in 1957: Fairchild Semiconductor. These engineers included Robert Noyce and Gordon Moore who later co-founded Intel. Moore wrote the law that’s defined chip-based computing and technological progression to this day. They also included Eugene Kleiner, who founded the industry’s most prolific venture capital firm among other things. Altogether, they branched out from Fairchild -- the original tech ‘mafia’ -- to seed AMD, National Semiconductor and ultimately what we now know as Silicon Valley. More importantly, those seeds took root in fertile conditions. A combination of weather, network effect and educational institutions reinforced the region’s talent inflows, tech transfer and concentration of knowledge. Revolutions kicked off every 10-15 years: mainframe computing, the PC, the commercial internet and the smartphone era. It is now on that same soil where the next revolution is underway. And, like the gradual progression of events that started with the traitorous eight, the XR revolution continues to emit sparks all around us. First ignited by Facebook’s 2014 acquisition of Oculus, something big is happening. It’s happening behind the walls of glass cities in Cupertino, Mountain View and Menlo Park; nondescript office parks in San Mateo, Dorm rooms in Berkeley and co-working spaces throughout San Francisco. WeWork is the new HP garage. 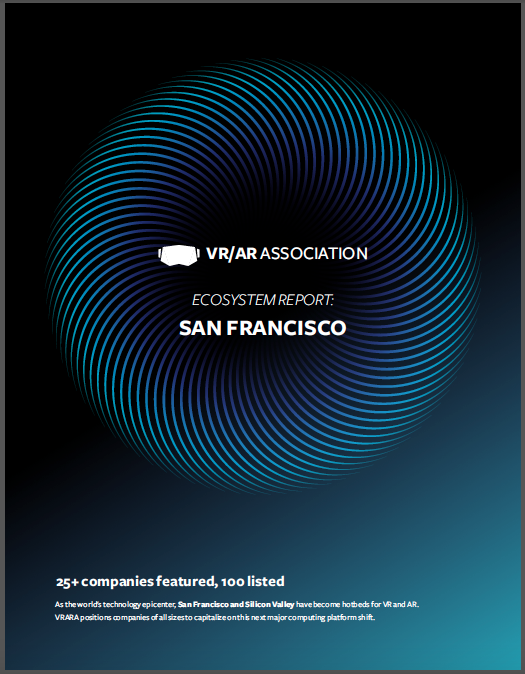 There’s even a good chance that one of the companies that defines the next era of technological innovation and Silicon Valley lore is a member of the VR/AR Association. We see tremendous creativity, innovation, and pedigree at companies like 6D.ai, Ubiquity 6, Avegant, Umbra, Kineviz and Portico. We see individuals carrying the XR torch and creating value such as Amy LaMeyer, Amy Peck, Kristin Dragos, Annisa Kau, and Rika Nakazawa. 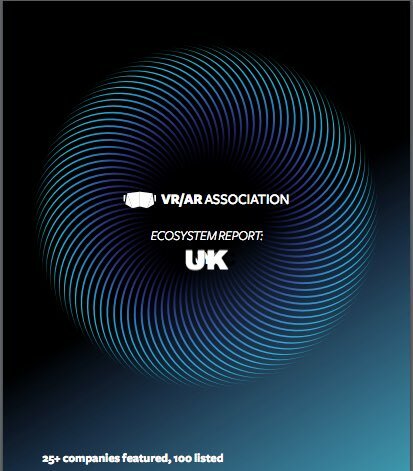 We now publish this report to document, give credit to, and provide a map for those future (and current) all-stars of Silicon Valley. They sprout from fertile soil, with a birthright, and responsibility, to design the technology that will drive the world’s progression and economic growth. With 60 years of evidence, we believe probability and statistics theory apply to regional innovation: past behavior is a good indication of future outcomes.